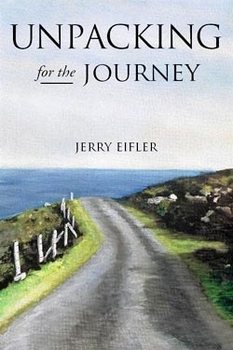 In this gentle and contemplative volume, Father Jerry Eifler continues his exploration of spiritual issues with a new compilation of essays and homilies about the journey from birth to death — and what we should leave behind as we go. "Unpacking for the Journey cries out to readers to release habits of controlling others, living for tomorrow, judging, living by stereotypes, and perfectionism. Other homilies nudge us to liberate our hearts of fear, anger, false beliefs, blaming, and self-criticism. Each story builds on scripture to speak to the human predicament. It all seems so personal and wise. Eifler calls upon his vast experience and personal pastoral moments to provide on-target and fascinating illustrations. His direct, down-to-earth talks erupt with new insights into the journey of real faith, hope, and love. To continue Father Eifler's ministry, his first collection of homilies, Linger and Be Available, as well as his third, Embracing the Source, are both also available from Butler Books.